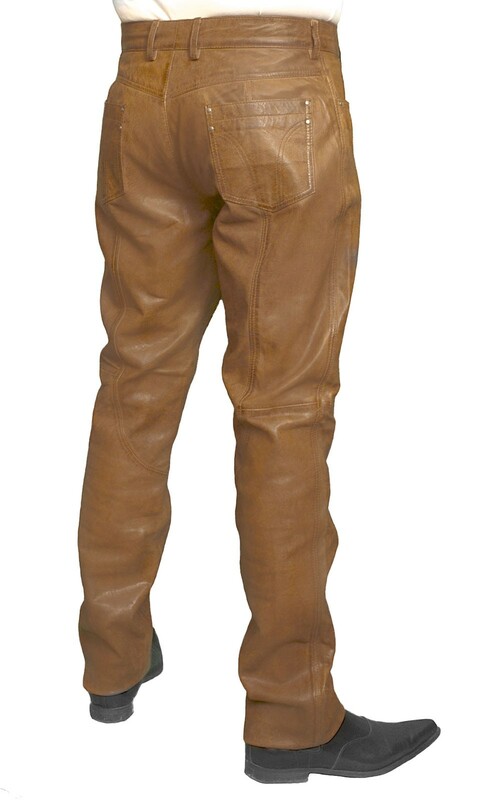 (RRP £399.99.) 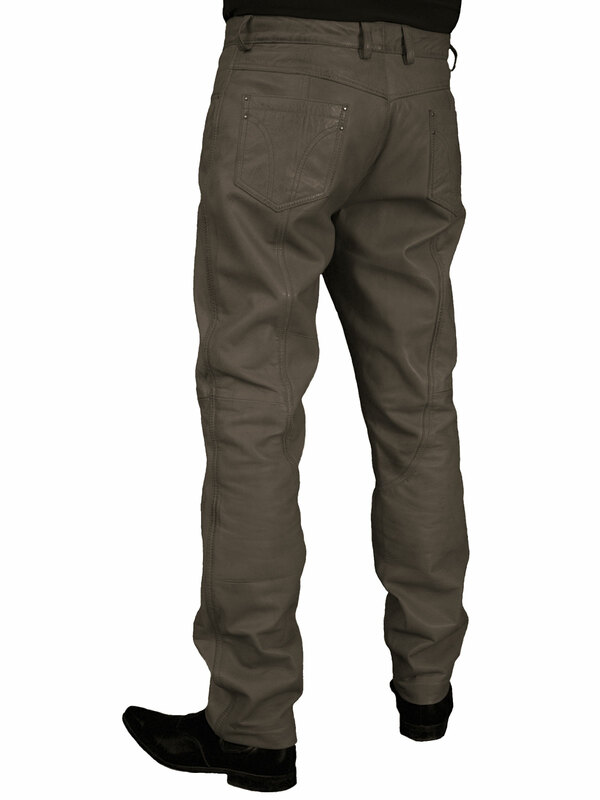 Fantastic high quality! 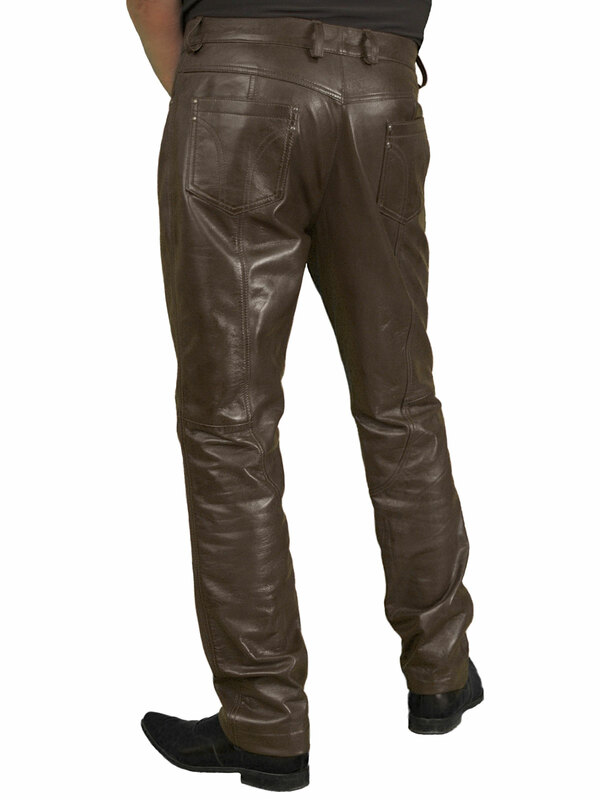 These are our ‘top of the range’ mens leather trousers or jeans for smart or smart-casual wear. 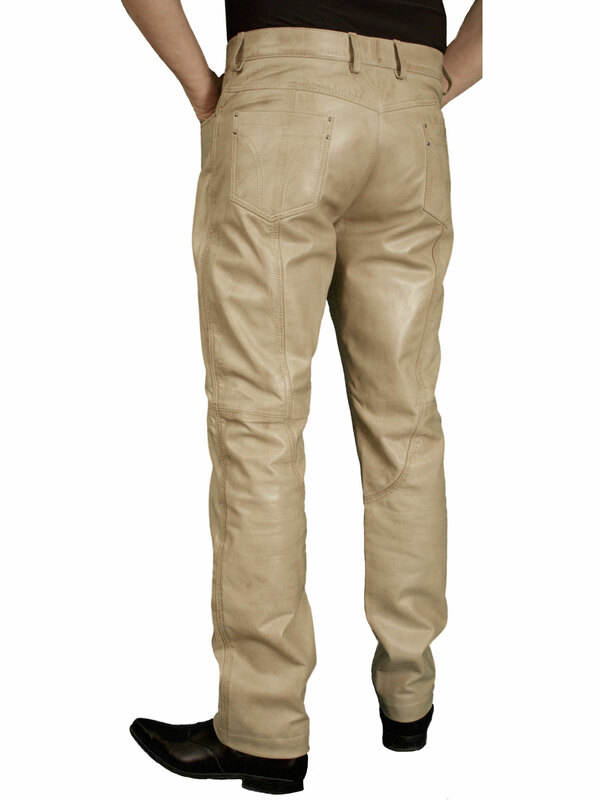 They have been expertly tailored in butter soft, smooth lambskin nappa leather that has a special finish which gives a soft sheen and subtle shading effect for added flair. 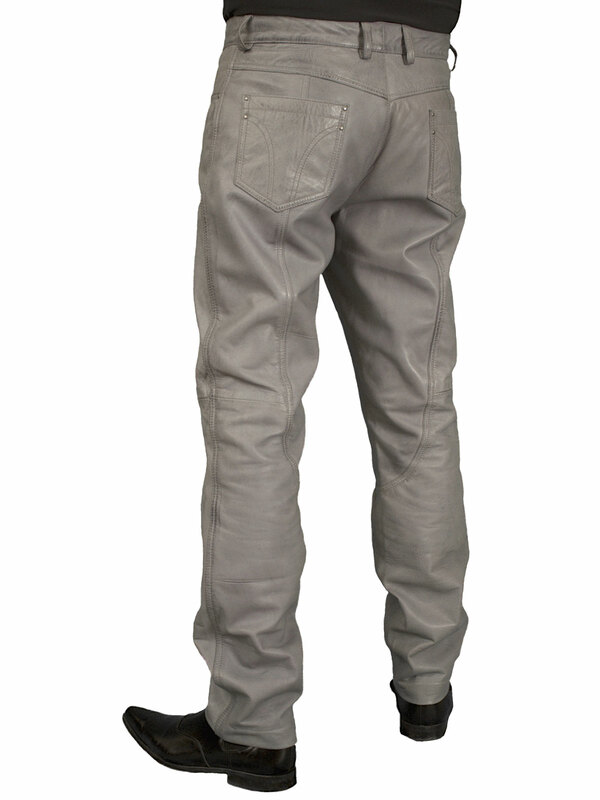 They are in a jeans-style with waistband with belt loops, back pockets and stitching detail on all seams. 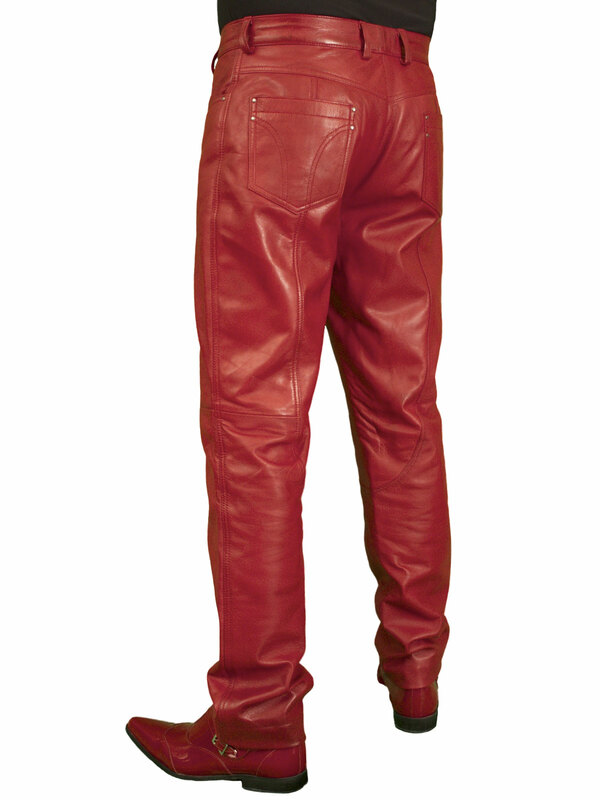 Made exclusively for Tout Ensemble by Ashwood. 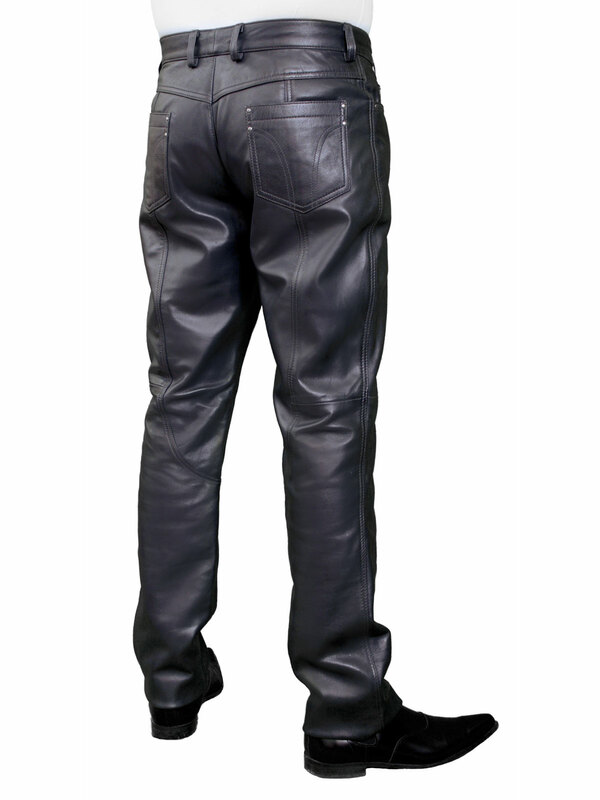 Great to wear with our mens black leather shirt too. 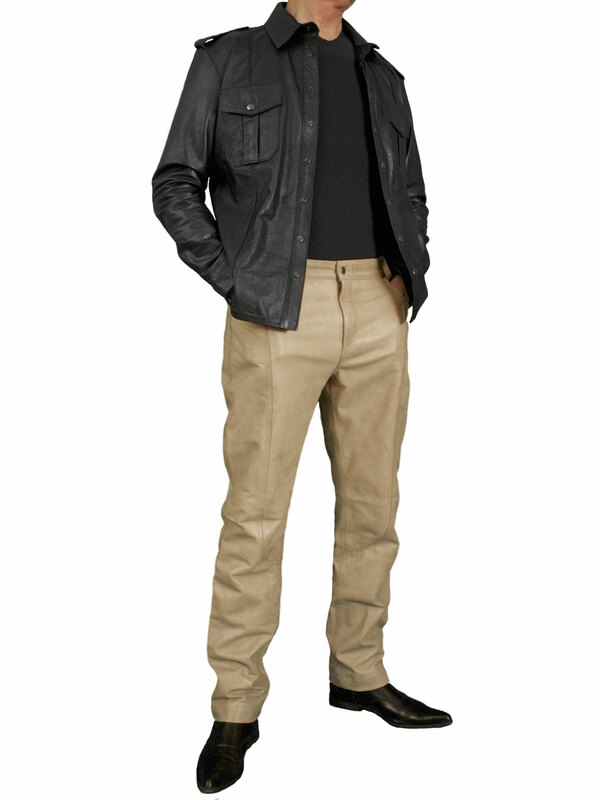 12 colours – including black, tan, red, navy, blue, beige, stone, and grey. Real class! 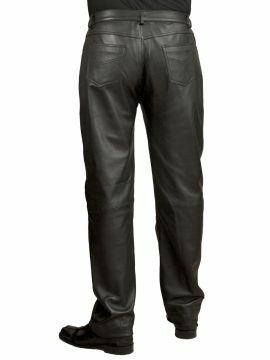 These mens leather trousers (or jeans) are for smart or smart-casual wear, superbly tailored in luxury soft and smooth fine quality lambskin nappa leather – just gorgeous to feel! 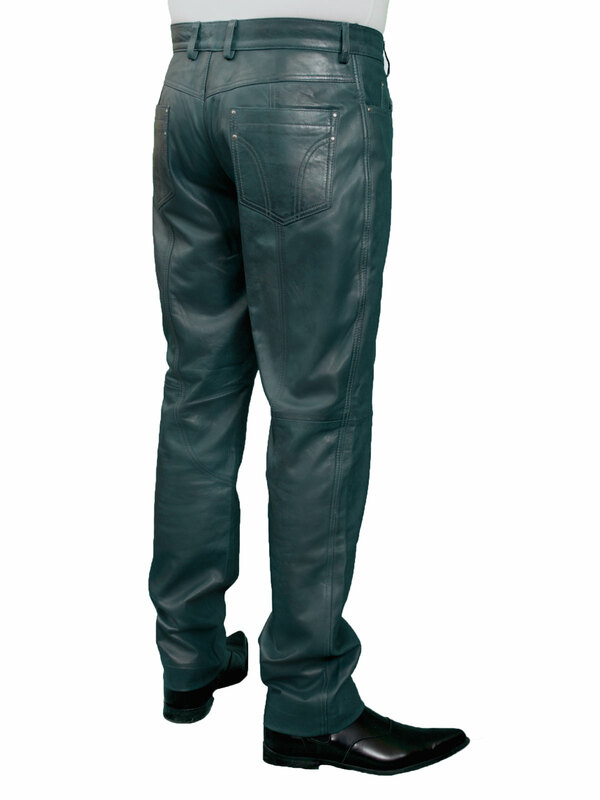 The special finish on the leather also gives a soft sheen and subtle shading effect, the shading being most noticeable on all but the very darkest leather. 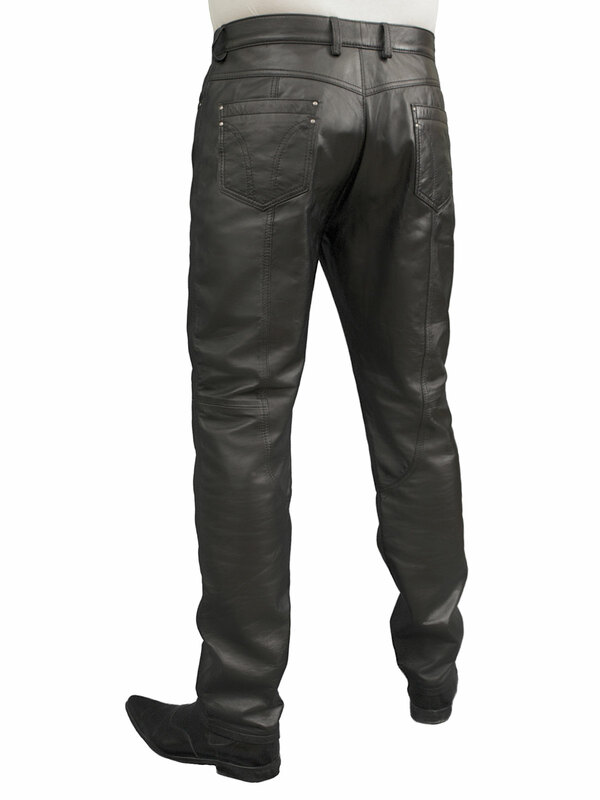 The leather trousers are in a jeans-style, having waistband with belt loops, back pockets and stitching detail on the seams. 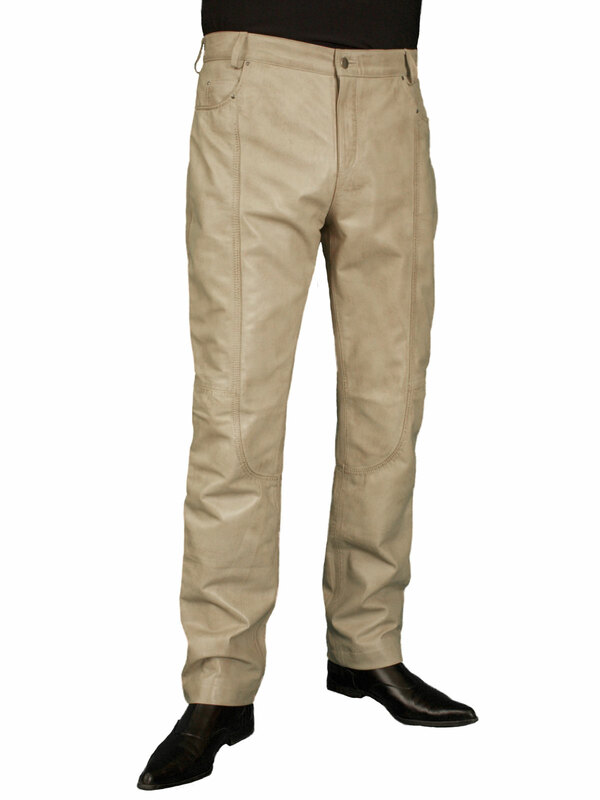 They are fully lined and have a raw, unfinished hem. 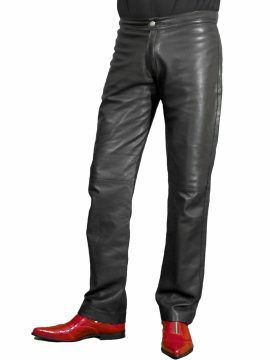 This means that if you need to shorten the leg, you can either just cut to the desired length and leave unfinished or turn the hem up and secure with a suitable adhesive (both of which are common practices with leather clothing). 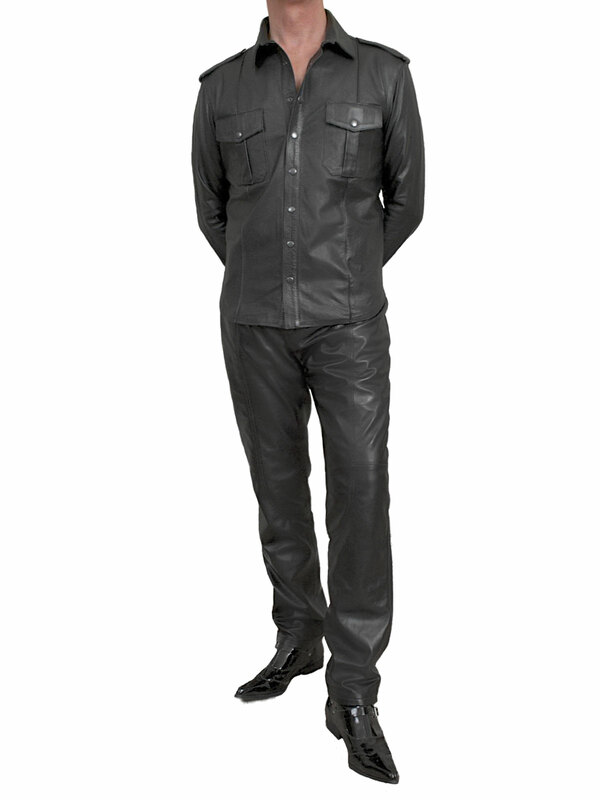 These trousers are also look great worn with our mens black leather shirt (shown in some images here). 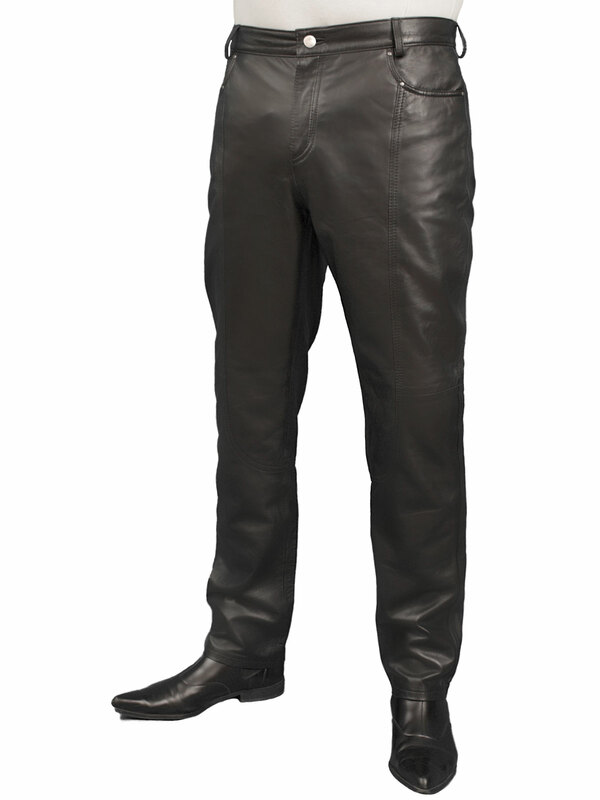 These leather trousers are fantastic, superb quality and an absolute joy to wear. First class service off Gary and Wendy, I intend to get another pair soon, I have 3 already.